← Competitive Yoga?? 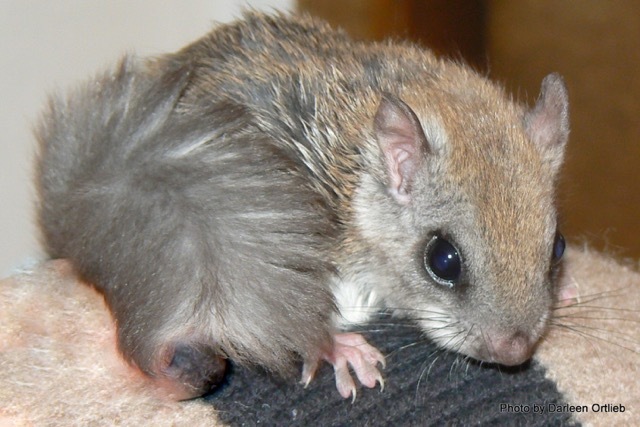 This is just Wrong. . . .
“Citizen Science” tools are the kind of projects that the new NatureTech.Solutions grant program will be looking to reward — stay tuned for details. . . .
How to find a flying squirrel: Citizen scientists are enlisted to help scientists. Since 2008, San Diego mammalogist Scott Tremor has been looking for the elusive San Bernardino flying squirrel, which can glide more than 300 feet between trees. He has conducted surveys in its historical range east of Los Angeles, but he found nothing. Now, with some reported sightings in the area, he is determined to find the mammal — “the right way” this time, as he put it — by enlisting ordinary people to look in their back yards for the nocturnal animal, which may be labeled an endangered species this spring. 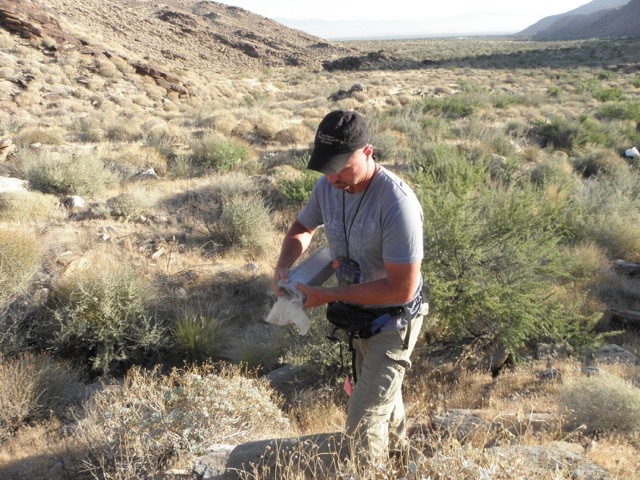 What’s new is that professionals such as Tremor, who works at the San Diego Natural History Museum, find citizen scientists to be an important adjunct to their classic approach to investigation. With technology so easily available, more ordinary people than ever are participating in scientific research. According to Jennifer Shirk of the Citizen Science Association, a group founded in 2013, mobile and Internet technologies have fueled a huge growth in participation focused not only on local issues such as the San Bernardino squirrel but also on larger ones such as climate change. The association and others like it in Europe, Australia and elsewhere have formed in recent years to promote citizen science, assist in its practice and build a community around it, Shirk said. The U.S. government is also getting involved. In September, the White House held an online forum to highlight contributions that citizen scientists have made to agriculture, health and other fields, and launched a website that federal agencies can turn to for help in organizing projects. That event, Shirk said, was “a major vote of confidence” in the value of volunteers. Cawood does recruiting on SciStarter.com, a citizen scientist website, and volunteer websites including Idealist.com. She also emails new opportunities to past volunteers and to those who have expressed an interest in participating. Using these methods, she found about 100 volunteers for a study last summer of a parasite affecting mud crabs in Chesapeake Bay. Most of the participants collected crabs in the field, while a handful worked alongside paid staff to measure each one and count how many contained the parasite. Cawood said a postdoctoral fellow is using the data to study how the parasite evolves and to better understand invasive parasites and diseases in coastal marine ecosystems. A project named eBird is a vivid example of the scale of work that can happen when citizen scientists get involved. The online study was launched in 2002 by the Cornell Lab of Ornithology and the National Audubon Society. Since then, said the lab’s Christopher Wood, more than 250,000 people from every country in the world have submitted 300 million records of bird sightings for inclusion in a database. Wood said such data can help improve conservation efforts. For example, he said, the Nature Conservancy, in collaboration with farmers in California, uses eBird data to time the flooding of rice fields for precisely when migrating shorebirds need such habitat for feeding and resting. In addition to providing sheer numbers and geographic range, citizen scientists can perform tasks that hardware or software can’t. “The detection and identification of birds is a highly nuanced process that machines aren’t capable of yet,” Sullivan said. Only humans can discern birds by what they look like and sound like and then classify them according to species, for example. “Without humans, eBird would not exist,” he said. Citizen science can have a positive impact in labs as well. Professional scientists are using tools from Public Lab, a nonprofit that got its start by designing do-it-yourself scientific instruments — including kites equipped with digital cameras — so volunteers could survey damage caused by the 2010 Deepwater Horizon oil spill in the Gulf of Mexico. Because of Public Lab, ecologist Chris Fastie of Middlebury College in Vermont said, he can modify a camera to take infrared photos, which are used to analyze plant health, for less than $100. For Luisa Serrano of Yucaipa, Calif., who has seen the San Bernardino flying squirrel at her cabin near Big Bear Lake, being a citizen scientist is a civic duty. 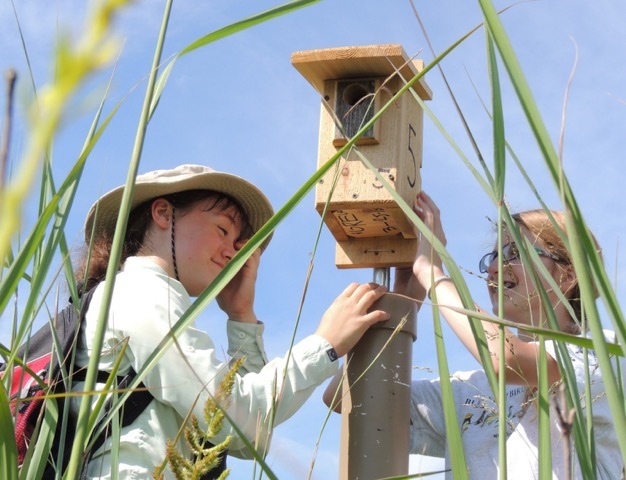 A lifelong birdwatcher and eBird contributor who let Tremor set up remote cameras, seed feeders and hair-collecting tubes at her cabin, she said volunteering for science gives a greater purpose to her enjoyment of watching wildlife. This entry was posted in Civil Society, Science. Bookmark the permalink.